Denver Colorado is Boom Town USA! 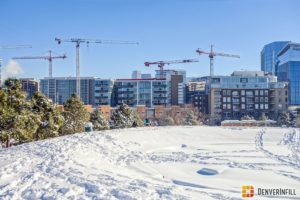 In March, there were over 20 tower cranes in downtown Denver! Business is booming in Colorado these days, Denver trails only Seattle for the most tower cranes in a metropolitan area. Check out this awesome video by Derr & Gruenewald Construction!